Orthopedic specialist Dr. Elian Shepherd, with The Methodist Physician Group Specialists in Merrillville, Indiana, deal with the sensitive problems that can affect the spine, such as a herniated disc. Any treatment to this area of the body, surgical or non-surgical, comes with potential complications. 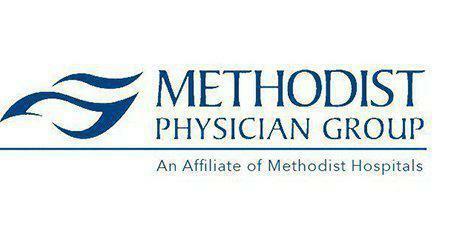 Working with a specialist at the Methodist Physician Group Orthopedic and Spine Center, though, lowers the risks. The spine is a complex structure made up of joints literally stacked one on top of the other. Without discs, the bones, or vertebrae, would constantly rub against each other causing wear on the bony structures. Discs are the rubbery cushions that sit between these bony joints to prevent that wear. Think of these discs as gel filled cushions sandwiched in-between the bones of the spine. The gel in the center, along with the joints, provides fluidity to the spinal column to give the back and neck its flexibility. When a disc tears or weakens, though, the gel pushes through, causing a bulge or herniation. That is a herniated disc. For some people, there are no symptoms, but the herniation shows up in an imaging test. Herniated discs tend to form gradually over the years, so age is a factor. As a person grows older, the gel inside the disc loses some of its fluidity and the membrane weakens. The muscles in the back offer less support, as well. The result is that even the slightest twist can cause a rupture or bulge. It’s usually a combination of factors, though, that cause herniated discs. If these care options fail to provide relief, the next step is surgery. One possible surgical choice is spinal fusion. This procedure permanently connects two or more of the bones in the spine, making them one unit. There are also prosthetic discs available that, when surgically implanted, take the place of the damaged one.